The table below provides the production rate of castor seed in china, during the years 2011-12 and 2012-13. It can be seen from the above table that the yields of castor seeds in China are almost on par of those in India (which is about 1 T/ha/year. An earlier post showed how the yield is far lower in Brazil. 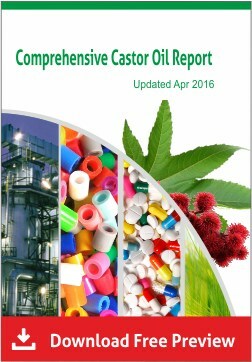 China is the second largest producer of castor. 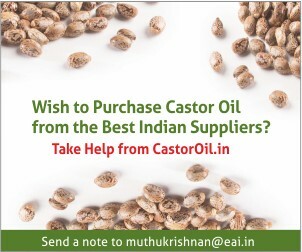 It contributes about 7-10% of the world‘s castor seeds production. It uses about 60% of its castor oil for the production of Sebacic acid. 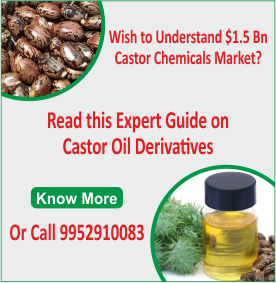 In 2011, China exported 0.13 million T of castor oil, which increased to 0.18 million T in 2012 and estimated to be 0.17 million T in 2013.